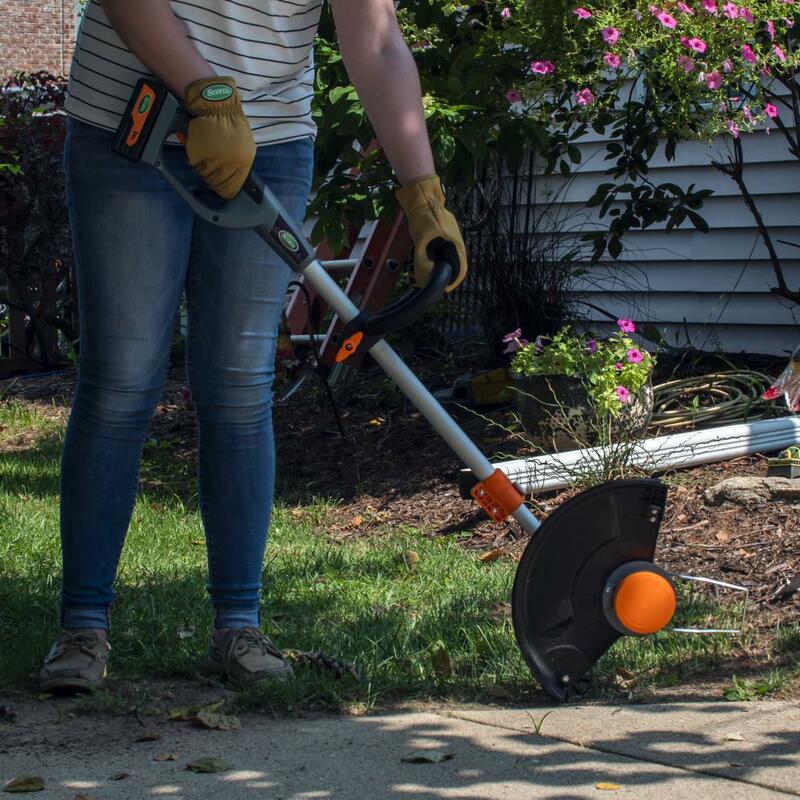 Scotts 24-Volt 2.5 Ah lithium-ion Cordless String Trimmer is the perfect tool for trimming around the house. 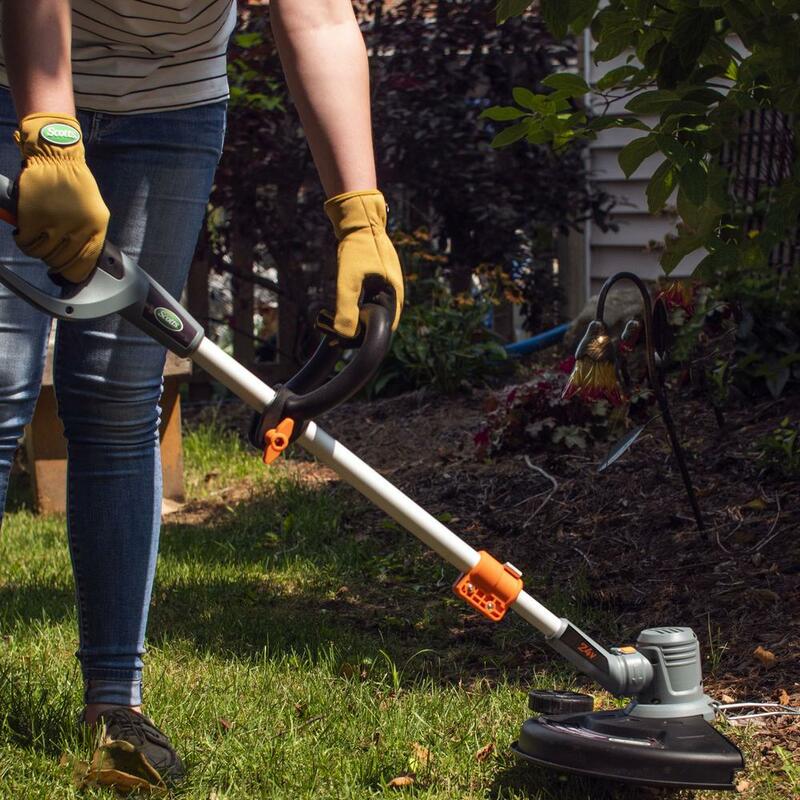 Quickly turn the trimmer into an edger with the Flip-and-Edge function. The cutting guard is equipped with an edging wheel for precision edge cut. Three-position adjustable cutting head angles with a 11 in. to 13 in. adjustable cutting width. 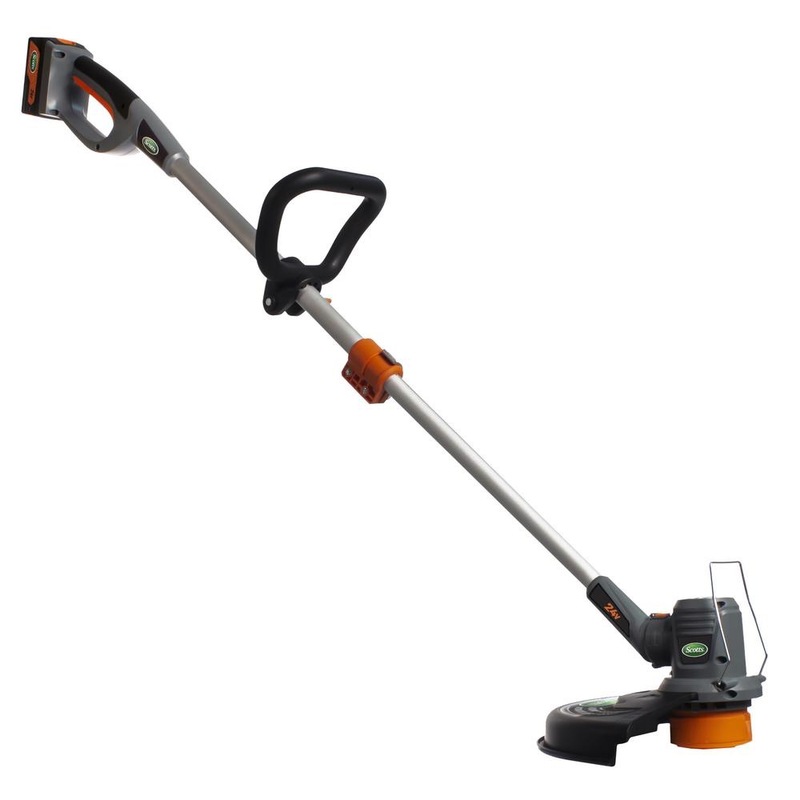 Adjustable handle with telescopic pole allows users to adjust the length of the shaft for comfortable trimming. Starts every time. No gas, no fumes. Warranty: 3-year tool warranty; 1-year battery warranty.